The seas surrounding Guyana are under threat by big oil companies. 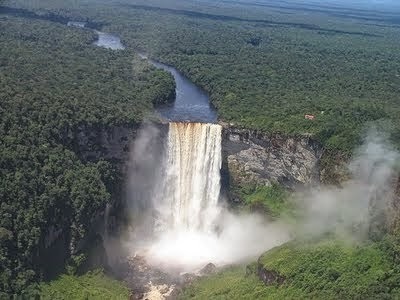 We believe that the Government of Guyana is putting the natural world and our common home in danger. Our legal cases will help protect the ocean, biodiversity and the global climate system for the benefit of each one of us. 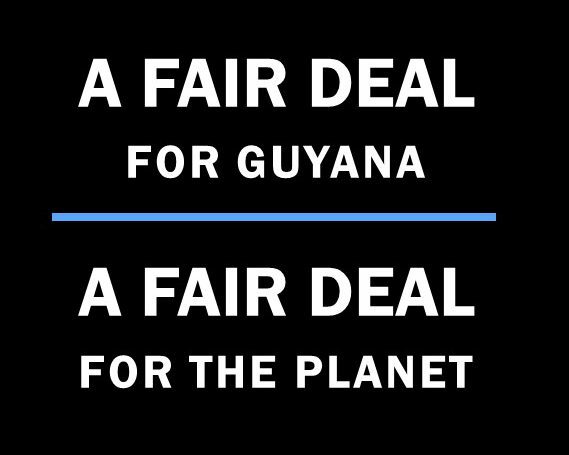 The legal cases will challenge government and oil companies to get A Fair Deal for Guyana and A Fair Deal for the Planet. The Government has granted a petroleum production licence to three oil companies. Only one company has been issued with a permit by the Environmental Protection Agency. We believe this puts Guyana at risk. We argue that the minister has acted unlawfully and irrationally in granting the licence and that his decision should be quashed by the court. 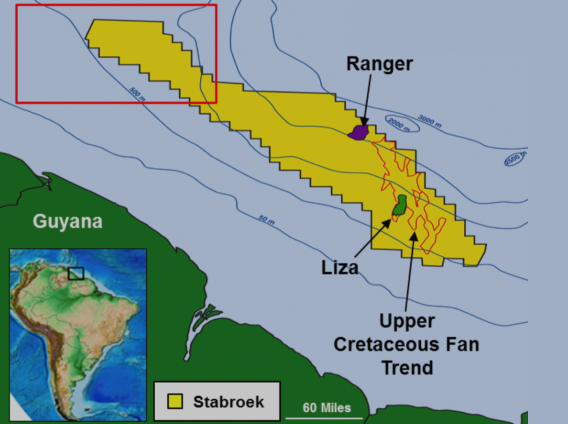 Major oil reserves have been discovered off the coast of Guyana. The government and the oil companies have talked about ‘unimaginable wealth’ for the country. However, there is widespread fear that this is a bad deal for Guyana and a disaster for our planet. In oil producing countries like Nigeria, Angola, Chad and Guyana’s close neighbour, Venezuela, oil has led to rampant corruption, lost lives, environmental disasters, and excessive dependency on one economic sector. The oil companies and a small elite have become very rich. Ordinary citizens are worse off. There are already early warning signs. Oil companies paid Guyana’s government ministers a signing bonus of US$18 million which was placed illegally in a secret account. The oil deal itself is scandalously low – the oil companies will pay no tax and the royalty is set at a derisory 2%. Guyana will get a share of the profits but it will have no control over how those profits are calculated. ExxonMobil’s local subsidiary recently presented Guyana with a bill for over US$460 million for costs going back as far as 1999. The international business press reports that Guyana’s oil fields could be among the most profitable of the decade – it is easy to see why. Meanwhile, no one seems to be paying attention to the impact of oil production on global climate change – the biggest threat to life on earth. So far, ExxonMobil has estimated over 3.2 billion barrels of oil in their concession. Once used, this will release over a billion tonnes of CO2 into the atmosphere. Guyana will go from being a carbon sink, that prides itself on having vast areas of virgin rainforests, to a carbon emitter. There has also been insufficient attention to the environmental impact of the oil production itself. Deep water oil extraction is fraught with danger. 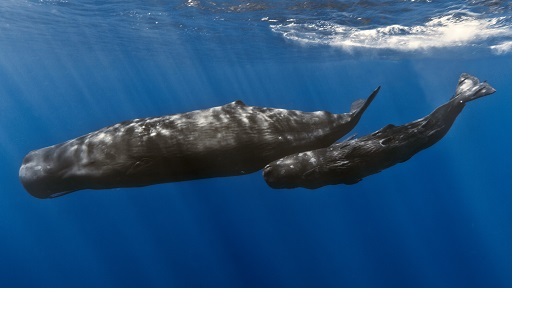 Guyana’s marine area is rich in biodiversity including endangered blue whales, fin whales and North Atlantic right whales. 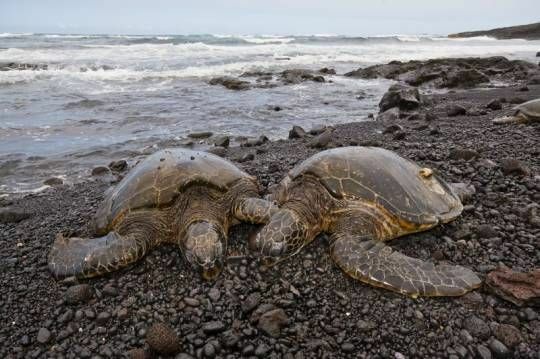 Leatherback turtles, green turtles, hawksbill and Olive Ridley marine turtles all travel through these waters to reach Guyana’s beaches where they lay their eggs. Guyana’s coastal mangrove forests are natural flood barriers and highly effective carbon sinks. Guyana’s fishermen also depend on the rich fishing grounds for their livelihoods. A well blowout could devastate all of this. The BP Deepwater Horizon blowout in 2010 killed 11 people, destroyed marine life and dumped over 4 million barrels of oil into the Gulf of Mexico. Rex Tillerson, former President of ExxonMobil, has admitted that ‘when these things happen we are not well equipped to deal with them’. An oil spill would hurt not only Guyana but also other nations. A major spill would seriously damage, for example, the Caribbean eco-tourism sector which is worth US$16 billion annually and creates 650,000 jobs. Exxon was itself responsible for one of the biggest oil spills in history – the Exxon Valdez in which 11million gallons of crude oil devastated the pristine Alaskan coast in 1989. Even without any accidents, the planned oil production will produce thousands of tonnes of gas, liquid and solid emissions including pouring 4,000 barrels of sewage every day into the sea and nearly 13,000 tonnes of solid waste to be deposited in land fill sites in Guyana. Guyana’s rich ocean, its spectacular rivers and its unique Amazonian rainforests are a paradise for nature-minded tourists and essential for the future of the planet. Why jeopardise all of this? We want the government and the oil companies to obey the law. We want to enable concerned citizens to protect the environment for present and future generations. Our lawyers have generously acted pro bono so far in order to file the first case. But it is a huge undertaking to challenge the government of Guyana and the powerful oil sector. We know it will require significant legal time and costs. Nevertheless we believe that we must do everything legally possible to protect our common home and to ensure that the government and the oil companies obey the law. We owe this to our children and grandchildren. Guyana has a strong legal regime for protecting the environment. We intend to use these laws to safeguard biodiversity and protect the environment for present and future generations. Our appeal concerns not only Guyana and Guyanese people, but also anyone who cares about nature and wants to protect our magnificent planet for future generations. Our initial target of £4,000 (approx.US$5,700 or €4,500) will enable us to cover some of our initial costs. Our stretch target of £50,000 (approx.US$ 71,000 or €57,000) will enable us to keep challenging breaches of the law and advocating for environmental protection. Seenauth Jairam, is a highly experienced barrister who has been a Senior Counsel for nearly 20 years. He has represented clients across the Caribbean islands and Guyana and appeared before the Privy Council and the Caribbean Court of Justice. He has served as a temporary judge and was a member of the Law Reform Commission of Trinidad and Tobago for 12 years. He is experienced in public law matters like this case and he has generously given his time pro bono so far. Melinda Janki was admitted to practice as a solicitor in England in 1988 and as an attorney-at-law in Guyana in 1994. She started her career in Lovells (now Hogan Lovells) and worked in the City of London before moving back to Guyana where she has worked tirelessly to protect the environment and the rights of Guyana’s Amerindian peoples. She has changed the law in Guyana including drafting Article 36 of the Guyana Constitution which protects the environment, drafting Guyana’s Protected Areas Act and drafting the Amerindian Act 2006 which guarantees Amerindian land rights and internal self-government. She too has given her time pro bono so far on this case. Oil Spills in Trinidad. Lessons for Guyana.